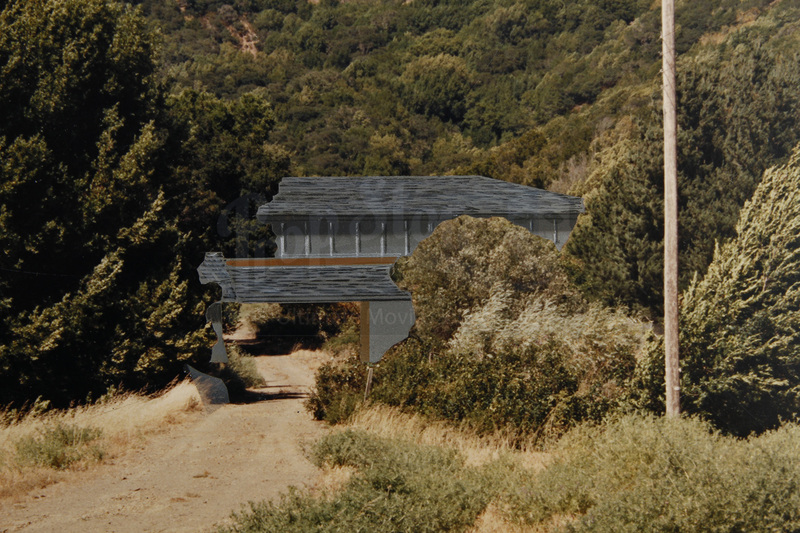 An Architectural Rendering For Skywalker Ranch of a possible addition to the ranch. This item is a large print of a photograph of a section the ranch with a hand painted rendering of a potential addition. 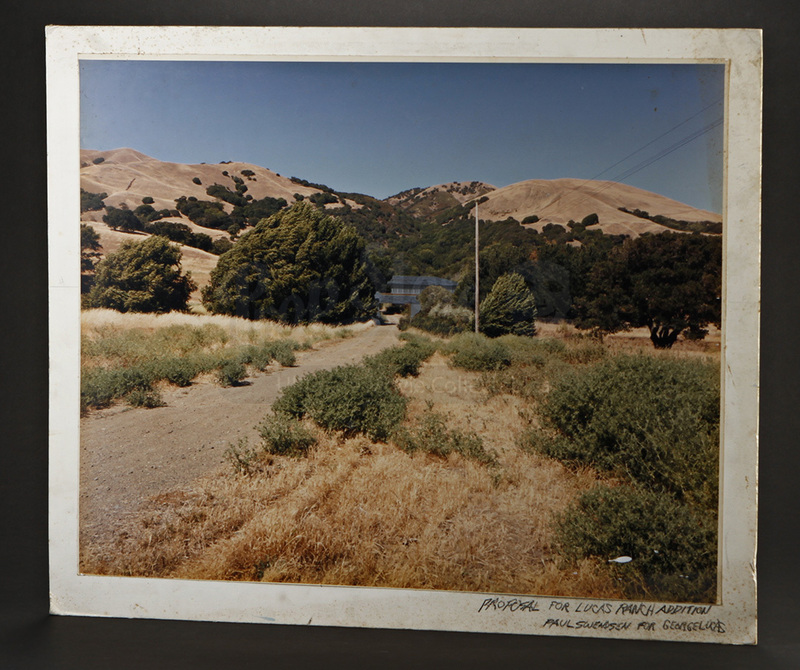 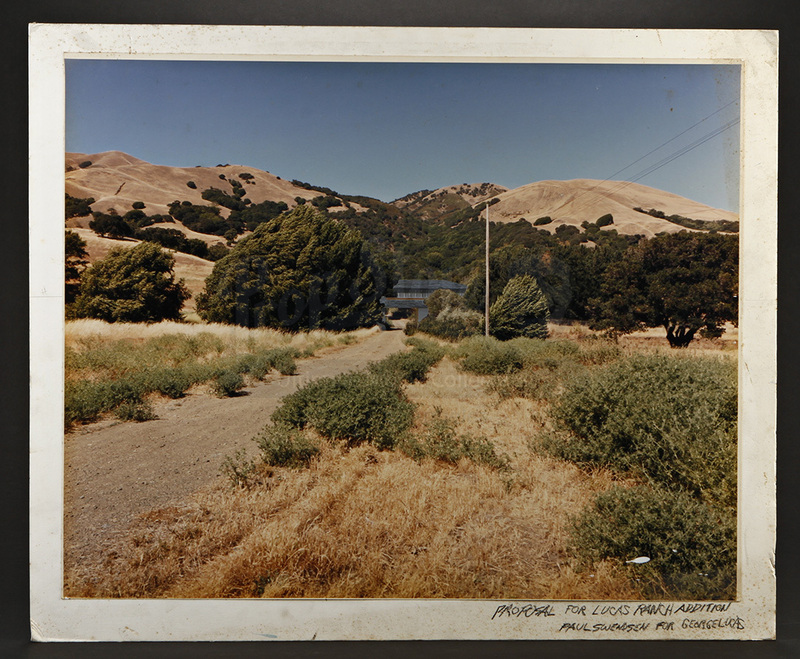 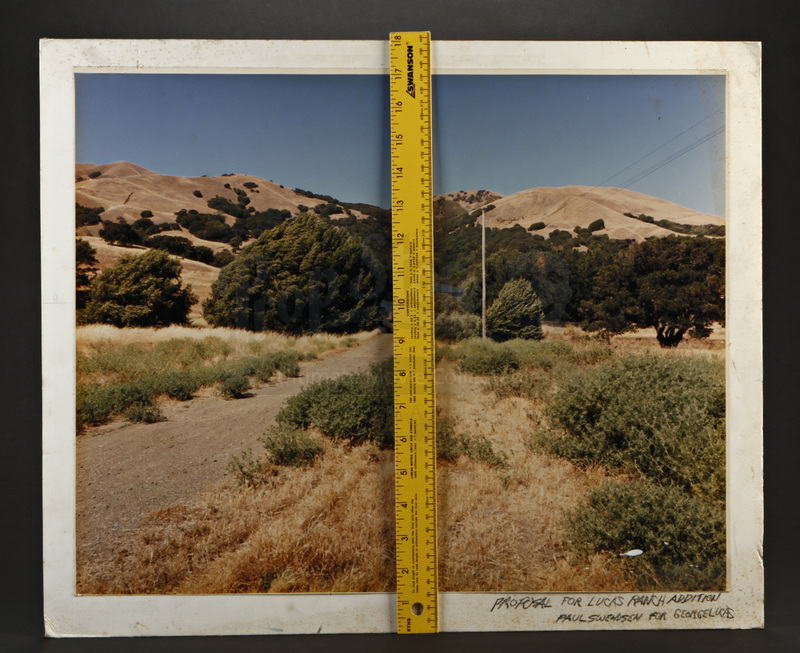 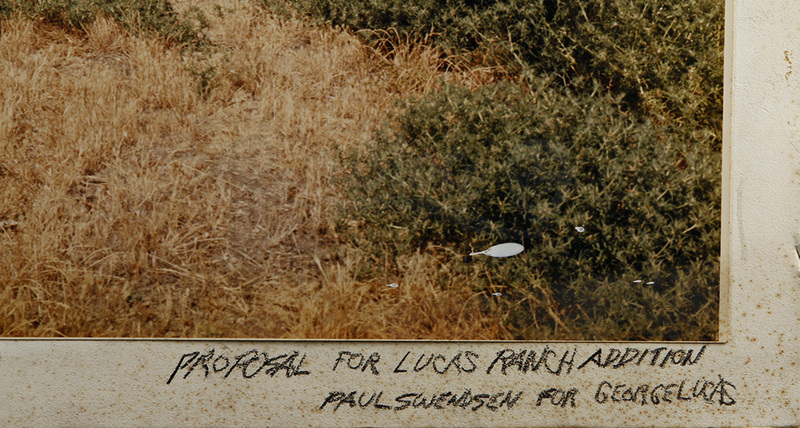 The photo is adhered to white cardboard and is labeled “Proposal for Lucas Ranch Addition Paul Swendsen for George Lucas." 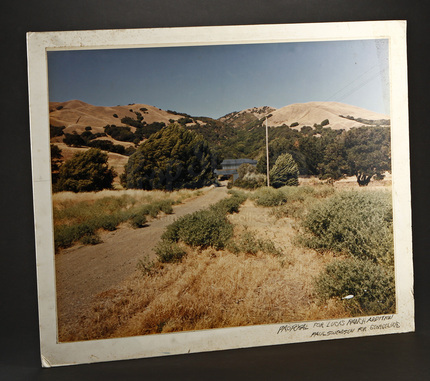 The item features minor wear due to storage including small stains, and bent corners and edges, however it remains in overall good used condition.